The commencement of the Narcotic Drugs Amendment Act 2016 on October 30, 2016, marks a milestone for Australia's medicinal cannabis prospects. The new regulations allow for the licensing of cannabis cultivation and the production of cannabis and cannabis resins for medicinal and scientific purposes. 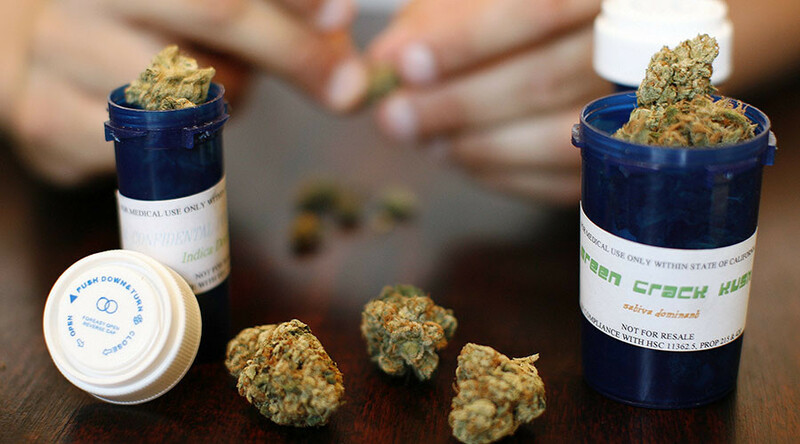 “Until now, it has been difficult for patients to access medicinal cannabis products from overseas sources,” Federal Health Minister Sussan Ley said in a statement released on Sunday. However, while pharmaceuticals will gain an advantage from the new law, recreational pot smokers are left disappointed, as consuming marijuana still remains a criminal activity. “I want to emphasize that the changes to the Narcotic Drugs Act do not decriminalize cannabis for recreational use,” Ley said. Under the act, those companies ready to grow their weed plants must comply with state and territory drug legislations which would allow companies to classify their harvest in accordance with the Therapeutic Goods Administration. To hold a license for cannabis production, business will need to pass “strict fit and proper persons requirements and other legislative tests relating to security.” It is left up to individual states and territories to award licenses and outline the types of cannabis plants that can be cultivated and the quantities that can be produced. MEDICINAL cannabis crops on the outskirts of Perth will become a reality in 2017. Though don’t expect to see fields of cannabis plants on the city’s fringes because the “discreet” and “hard to access” facilities will employ military-style security to keep intruders out. WA-based companies AusCann and MGC Pharma both want to cultivate and manufacture medicinal cannabis here. AusCann said it would this week lodge a licence application to grow the drug at a secret site near Perth. MGC Pharma isn’t far behind. Ideal weather conditions mean WA is well-placed to get a slice of the legal market. On Friday, the Federal Office of Drug Control said three applications were under assessment, but wouldn’t disclose if any were from WA. Applications were invited from November 1. The regulator this week issued security guidelines. Companies intending to cultivate crops with a high concentration of tetrahydro- cannabinol (THC), the psychoactive component of cannabis, are required to erect “two-layer perimeters such as building walls or climb-proof fencing” to keep out intruders. They will also need to install CCTV and alarms. And destruction or disposal of any materials will require “monitored incineration or other tracked destruction”. AusCann managing director Elaine Darby said it might take a couple of months for the company to get its licence. The company has detailed site plans, but is not allowed to identify its location. Ms Darby said the site, which would be used for cultivation and manufacture, isn’t far from Perth. “Logistically, that is not appropriate (to be far from Perth),” she said. “There has to be physical security ... we are going over the final plans. She said the company had engaged security company Lockforce International. “They are very experienced when it comes to the protection of high-value products,” Ms Darby said. MGC Pharma executive chairman Brett Mitchell said the Perth-based company “was finalising plans for where to base growing operations”. WA also offered the best climatic conditions to grow medicinal cannabis, he said. “The board is very strongly in favour at the moment to establish an operation here in WA. It will be dependent on getting the right government support and local support to make it happen,” he added. Mr Mitchell said security was high on the list of priorities. They would draw on the experience of managing director Nativ Segev, formerly chief executive of Israel’s second-biggest medical cannabis company. “Operating in Israel, security protocols are are extremely strict,” he said. Part of the application process involves the regulator vetting the board members and employees of applicants. “Someone who has recently spent time in prison for drug offences would be unlikely to meet this requirement,” the regulator said. AusCann has two former Liberal MPs on its board — former federal politician Mal Washer and former WA environment minister Cheryl Edwardes. Mr Washer, a former GP, is Ms Darby’s father. The company, which aims to develop products to relieve neuropathic pain, last month formed a joint-venture with Chilean group Fundación Daya, which has a medical cannabis licence in Chile. AusCann recently sought $5 million via a public offer. “We were massively oversubscribed, there is so much interest in this space,” Ms Darby said. JOELLE Neville is totally sold on medical cannabis, but not the laws that will exclude thousands of families who need it. The Maylands mum buys hemp oil from US company Elixinol to give to her 11-year-old epileptic daughter Ava, who has tuberous sclerosis, a rare genetic disease that causes benign tumours to grow in the brain. Hemp oil has been “absolutely life changing” for Ava and her family. She would previously experience up to 20 seizures a day. Expensive prescription medicines helped, but her transformation with Elixinol means she no longer needs them, saving taxpayers about $150,000 a year. But Elixinol, a psychoactive-free oil, is costing the Nevilles $10,000 a year. The moves to legalise medical cannabis in Australia won’t make a jot of difference to the Nevilles and families like them, they argue. Elixinol and other hemp oils will still be illegal to ingest. “It’s not going to help me at the moment and it’s not going to help 95 per cent of the people I know that are on versions of it for varying conditions,” she said. Ms Neville said the strains licensed companies could produce were too narrow and targeted only a few serious health conditions. “It may work for some people but it absolutely won’t work for all of the people who are currently benefiting from medicinal cannabis in its illegal form,” she said. Paul Benhaim, chief executive of Elixinol and Hemp Foods Australia said medical cannabis did not need to be psychoactive. “We believe (governments) should allow the use of these non-psychoactive products much more widely because there have been many studies done on this material saying (cannabidiol) is non-toxic,” he said. Thats good but the requirements are a joke to grow medical cannabis in Australia.